That&apos;s right, Tampa Bay residents and visitors! If you&apos;re looking for some Tampa Bay entertainment, look no further than Tampa Bay & Company. We will soon be the proud site of the Cirque Du Soleil&apos;s oldest traveling show, Saltimbanco right here in Tampa at our very own St. Pete Times Forum! The word "saltimbanco" means literally "to jump on a bench" and is the title of this show which will highlight and explore the urban environment of different people types and infrastructure. The show is a baroque (think Bernini&apos;s "The Ecstasy of St. Theresa") journey through a dreamlike city world with eclectic music of modern and tribal types. 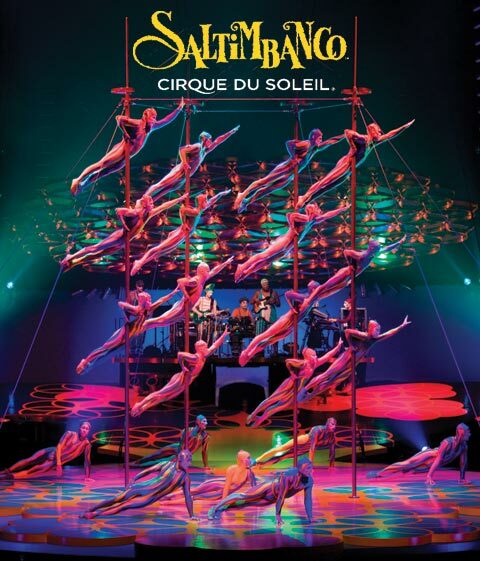 Directed by Frank Dragone along with a myriad of other talented creators, Saltimbanco will certainly amaze you and fascinate every member of your family! You will be guided by The Baron, dressed in a cloak and suit akin to what you may expect from "Moulin Rouge" and will meet such characters as the &apos;Vers Multicolores&apos; which move like reptiles up tightropes and around the stage. The show includes extreme acrosports (the scenes you picture of people wrapped impossible around each other) and ballet in the air like you&apos;ve never seen it before. Most people think they have to go to Las Vegas to see Cirque Du Soleil, right?? Wrong!! Tickets are selling out fast but be sure to get them for this amazing show which will be here from June 25 to July 5 this summer! Typical tickets in Vegas go for $100-$200 but you can get St. Pete Times forum tickets to Saltimbanco for $40-$100! What a deal! And be sure to stay tuned to our blog and twitter for show updates and exciting giveaways! !